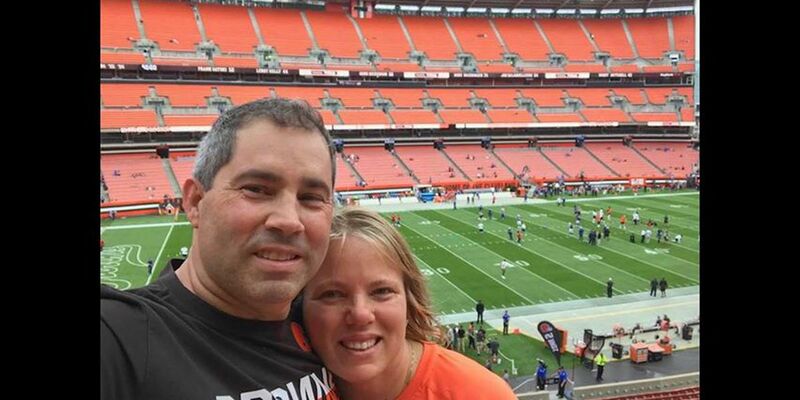 Beverly Smiddy Croyle and her husband are not giving up on the Browns, even though other fans are selling tickets for more than 50 percent below face value. CLEVELAND, OH (WOIO) -The excitement that was driving up ticket prices in week four of the Cleveland Browns season, has been put on a boat and pushed out into Lake Erie. There was a time this season that tickets were being sold for way more than face value and people were paying it. We’ve reached the point in the season, with a record of 2-6-1, when people are hoping to get anything for their tickets. The game is not sold out. Ticketmaster is the official site for Browns tickets where the cheapest ticket from the team is $45. Ticketmaster also has a re-sale section for people trying to get rid of tickets they have, and in the same section as the $45 ticket you can buy a ticket for $22 from a fan. Moral of the story: Don’t pay full price for a ticket from the team, when fans are selling them 50 percent below face value. Beverly Smiddy Croyle and her husband have only been season ticket holders for two years. “My husband has always wanted season tickets and two years ago we were able to get them,” Smiddy Croyle said. Now, seeing tickets selling for way less than what she paid doesn’t bother her. “After last year our first year as season ticket holders we almost didn’t renew them but, couldn’t give them up,” Smiddy Croyle said. "We knew we’d have a win this year! We are die hard Cleveland fans. I'm trying to determine if $18 is too much, or too little for a ticket to the Browns game this weekend? She even has some advice for fans thinking about tossing those remaining tickets on the yule log.